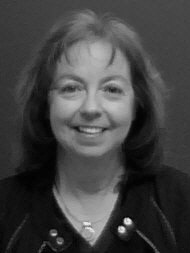 Anita is a Registered Respiratory Therapist currently employed with Baptist Medical Center in Montgomery, AL as the Pulmonary Rehab Coordinator since 1987. She graduated from UAB’s Respiratory Therapy School in 1979 and began her working career at Baptist Medical Center specializing in Adult Critical Care and Neonatal Critical Care. Anita has over 27 years in the field of Pulmonary Rehabilitation with some cross over in Cardiac Rehab. She is a long standing member of both AACVPR and SACPR. Has served on numerous committees. Her tenure role has been on the legislative/reimbursement committee of AACVPR and as SACPR AL State Representative. She has represented SACPR in Washington, DC for Day on the Hill (DOTH) activities for over 12 years. She presently serves as SACPR’s President Elect and 2014 Annual Spring Conference Chairperson. She is co-founder, fund raiser and volunteer for Camp WheezeAway in Alabama. The week long summer camp began in 1991 and serves children age 8-12 who have moderate to severe asthma. She is married for 35 years and has two grown children and 4 grandchildren. She is a cyclist and enjoys staying fit and traveling.